Emme was awarded first in NSW in the 2011 English Extension Two HSC with her short story on post-natal depression, Lethe. In that same year, her first play – Once Bitten (an allegory criticising animal abuse) – was performed at the Sydney Fringe Festival. Emme’s inherent nerdiness saw her receive the All Rounders Award in the 2011 HSC, where she was also a recipient of the Australian Student Prize and was awarded third place in the History Extension Teacher’s Prize. Since then, she has also been shortlisted for the Monash University Short Story Prize, won the Questions Writing Prize and had work published in Kill Your Darlings journal. 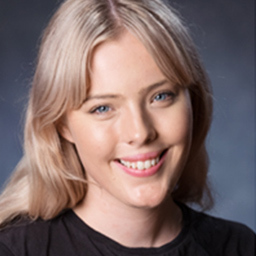 In 2014 Emme won a place at ATYP’s National Studio and – whilst completing her Bachelor of Arts (English Literature and Creative Writing) at UNSW – received the School of the Arts and Media Prize for Best Performance in Creative Writing. In 2015, Emme graduated with distinction and got on the Dean’s List – and swore herself off further tertiary education forever. A few weeks later, she applied for the MFA (Writing for Performance) at NIDA. In her writing, Emme is interested in the intersection of humans, animals and science – and the ways relationships and personalities are constructed through language, ideology, history and performativity. When she is not writing, Emme enjoys reading, coffee and hiking – to such an extent that she trekked to Mount Everest Base Camp and was lightly stepped on by a yak – though her travelling companion swears that didn’t actually happen.